This powder looks great on the skin - It is such a fine luminous powder that subtly diffuses fine lines/open pores whilst giving your skin a silky natural beautiful glow. If you want coverage, this powder wont give it to you as it acts more like a setting powder. However the benefit of being a light weight powder is that you use it to touch up several times during the day without creating that cakey look or feel. This primer is great if you have oily skin or an oily T-zone as it is not just an oil free but it also has the ability to absorb up excess oil. Perfect for a long shift as you'll come back home with no oily residue on your skin at all. It also smoothes out open pores and fine lines and makes your skin feel so velvety smooth. If you're like me and have combination skin, you can just use it on your t-zone. I recently got introduced to this product from my friend Elena at Lulu & Char. This lip stain is amazing! Not only does the colour stay on all day, but the glossiness doesn't seem to wear off either. There are heaps of lip stains around these days and most of them tend to dry out your lips but because YSL's Glossy Stain is like a lip gloss, your lips will feel nice and hydrated throughout the day. Best thing about this is that it doesn't feel sticky like other lip glosses. This mascara gives volume and length without being clumpy. Because of it's more separating acting, you can achieve a more natural, fluttery and 'doll-eyed' effect. I got the waterproof version as my eyelashes tend to droop very easily if I use non-waterproof mascara's. I have never heard of an eye brightener and blemish cover up in one until I discovered By Terry's Touche Veloutee! For those of you who don't know By Terry, she is the maker of YSL's renowned Touche Eclat. A few years later, she came out with her own line which houses luxurious makeup products that have skincare benefits in them too. This highlighting brush is not only a light reflecting brightener that can be used underneath the eyes to cover dark circles but it is also a smooth and creamy concealer that can cover up any imperfections such as blemishes, dark spots, redness, fine lines and wrinkles. And because this product contains hydra-plumping hyaloronic acid microspeheres which hydrates and smoothes away fine lines, it is less prone to creasing into your lines. Great for dry under eyes or dry skin in general! I really want to try the Hourglass Veil primer! I have oily skin and I felt a bit of it on my hand and it feels amazing! I love your blog posts, find them really informative! 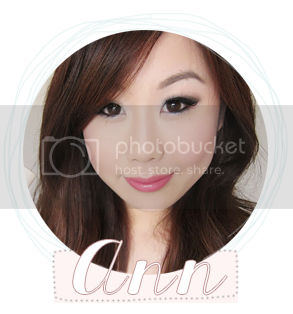 Blog design by Grace of Beauty | © Ann's Beauty Choice. Powered by Blogger.